In all my time spent in parking, approximately 20 years, today I observed a first. 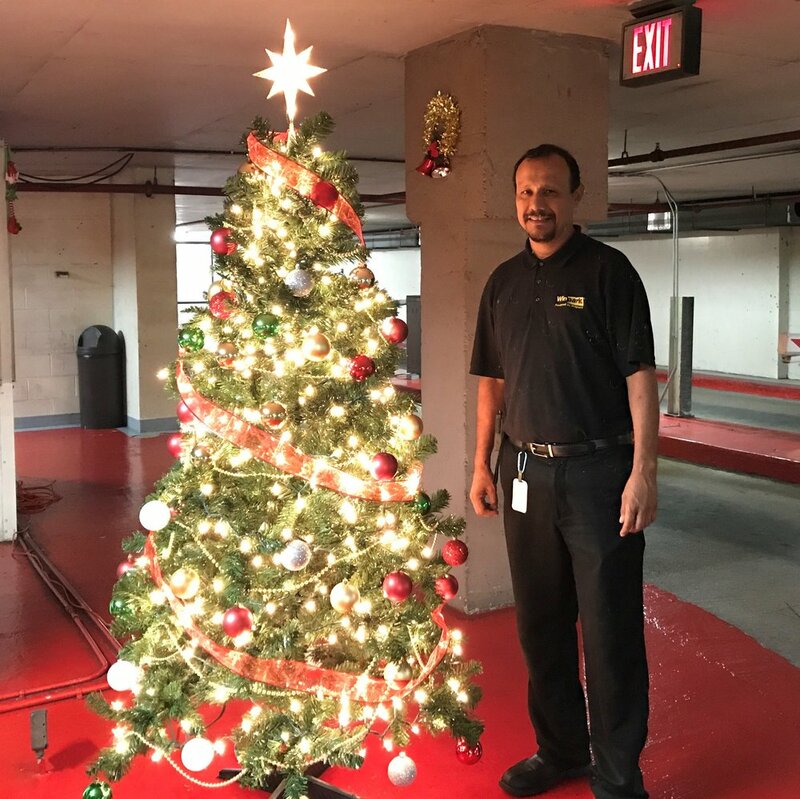 Christmas came early in Houston when maintenance personnel purchased, assembled and installed holiday decorations in a local TMC garage for all parkers to see upon entering and exiting. They really went above and beyond in showing their exceptional skills in decorating, but most important the ability to provide a wonderful display for everyone visiting the facility during the holiday season. With this facility servicing a hotel and medical clinic, they stepped up the parking game by decorating the support columns with garland and wreaths, hung stocking from the walls, attached elves to the cashier booth and placed a Christmas tree on the parking island between the two exit lanes. Everyone has provided plenty of positive compliments at seeing such a display when arriving at the garage and are even taking photos. Selfie anyone?